Pebble: The Not-So-Final Verdict – Sanspoint. On Sunday, I took my Pebble off my wrist, put it on its charging cable, and forgot about it after three straight weeks of constant use. It’s been a week of going back to my Casio for daily wear, and… I don’t miss the Pebble. This is not how I expected the Great Smartwatch Experiment of 2015 to end. Actually, it’s entirely how I expected it to end. What I didn’t expect was for my opinion on wearables and smartwatches to perform a complete 180, and to drop wearing my Pebble like a bad habit. Part of the problem is that the Pebble, at least when paired up with iOS, can only do so little. It works great for informational notifications on my phone: the morning weather forecast, subway delays, meeting and task reminders. It’s useless for anything that requires action: like Due.app timers, and messaging. Guess which of these I do more of on my phone. Here’s a hint: I turned off a lot of “informational” notifications a while ago. And here in lies the paradox. In order to respond, you need to take out the phone. But when you take out the phone, the value promise is again broken! A combination of iOS limitations, Pebble OS limitations, and hardware limitations breaks this value promise over, and over, and over again. The new Pebble Time and OS has potential to be a new interpretation of what a smartwatch can be, but they’re moving their focus more towards Android, which doesn’t help me. I hold out some small, almost microscopic hope that Apple will expose more functionality in iOS 8.2 for other smartwatches, but it’s not likely. It’s a shame, because I like my Pebble. The novelty hasn’t worn off, I suppose. I think it’s a good-looking piece of gear, though my standards are hardly universal. When it’s doing something useful, and letting me keep my phone in my pocket, it’s great. The limitations mentioned above, however, make this a rare occurrence. I’m certain to give the new Pebble 3.0 OS a try once it’s released for the original Pebble, that is unless I’m lucky enough, or crazy enough, to get an Apple Watch before then. The timeline UI looks like an exciting new way of thinking about what a smartwatch is for, and it excites me in a way Apple Watch doesn’t. 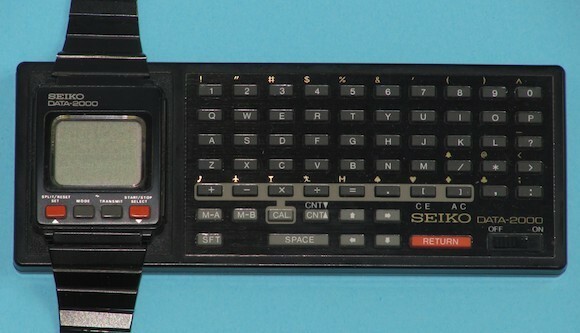 The thing about smartwatches is that they haven’t become their own thing quite yet. The first devices we could call a smartwatch were just glorified, wrist-mounted Personal Digital Assistants. Even Palm got in on the action with a Palm Pilot watch in the early 2000s. The next idea, pre-Android Wear and Pebble, was just a smartphone on your wrist. We’re finally getting somewhere close to a defined idea of what a smartwatch is, and perhaps after Apple’s event on March 9th, we’ll almost be there. I don’t know, however. What I do know is that the value of a smartwatch is extraordinarily hard to communicate. For ages, I viewed them as little more than a “second screen” for a smartphone. It’s a dismissive idea, and it took putting my money where my mouth is, and trying one, to dismiss my skepticism. I’m now cautiously bullish on the smartwatch as an idea, even if I can’t articulate exactly why. I still maintain that the fashion-focused pre-marketing of Apple Watch is a result of the difficulty in explaining why a normal person—let alone a technology person—would want a computer on their wrist. That’s also why it’s annoying the nerds. They don’t care about fashion, only utility. I want to be clear. There is a utility to a smartwatch. Even if the Pebble doesn’t have all of that utility, it had enough to make the scales fall from my eyes. I can even see an evolution of the smartwatch as a context-aware device, showing relevant and timely information at a glance. Imagine this: you have your work schedule on your calendar. It’s almost time to wrap up for the day, you check your watch, and see that it knows it’s quitting time, that there’s road construction on your usual route home, and not only tells you it’ll take you longer to get home, but offers to find an alternate route and text your partner that you’ll be home late. That would be incredible. We’re not there yet, and, yes, that could just be an alert on your smartphone. But an alert is an external interruption. It requires not only pulling out your phone, but also shifting into a different mode of thinking. A glance at the watch is natural, and doesn’t pull you out of what you’re doing. It’s ambient, contextual and timely information that you can see on demand. There’s a huge difference, and until you have even the slightest experience of it, it’s hard to grasp just how useful it could be. So, to wrench this back around to my Pebble. The goal of my experiment was to see if my skepticism on smartwatches was justified. That such a limited device was enough to prove me wrong is success enough. It’s a shame the Pebble doesn’t succeed for me as an iOS user, but that’s the risk I took. At least I’m only out $99, and have a device that will at least give me a chance to try something new and interesting in a couple of months when Pebble releases their new OS. For now, I’ll stick with my dumbwatch, and wait.